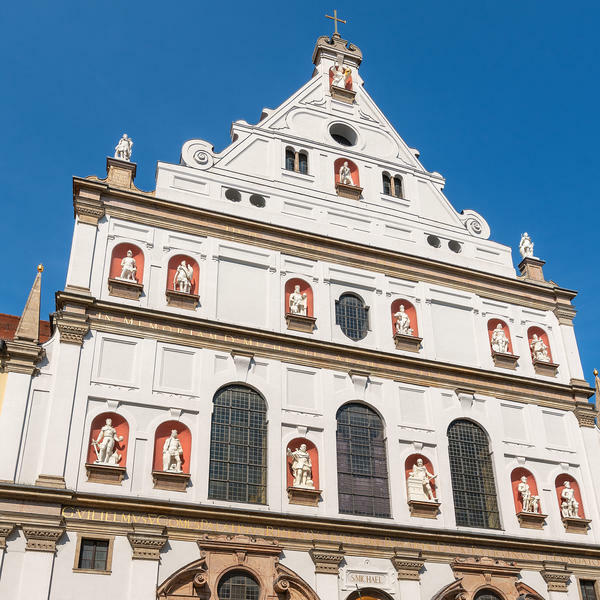 In 1633, as an outbreak of Black Death wreaked its grim toll, the villagers of Oberammergau in southern Bavaria made an extraordinary promise. If God spared them, they vowed, they would re-enact the last days of Jesus's life every 10 years in gratitude. 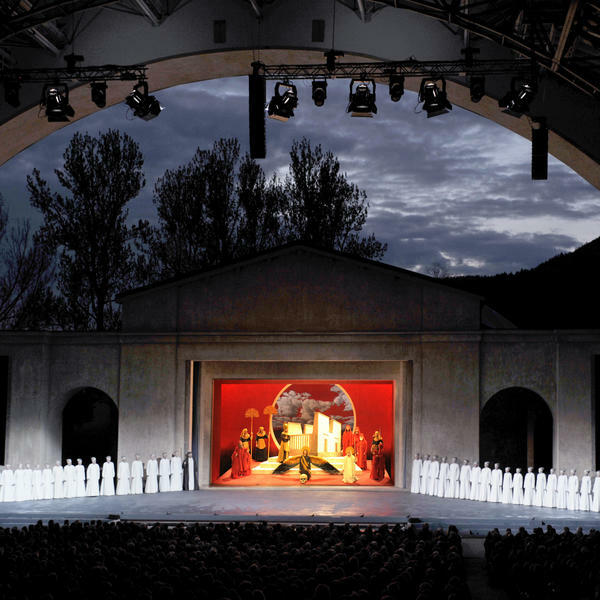 From the moment they made their pledge, nobody in the village died - and almost four centuries on, the residents of Oberammergau remain true to their word with the 43rd staging of the passion play due to take place in 2020. 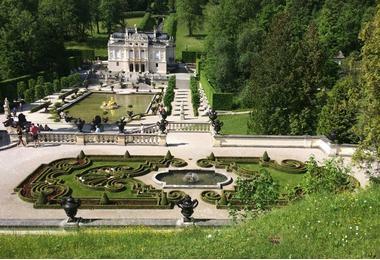 You can see this rare and moving spectacle on our exclusive tour, which will take in both the drama of the play and the astonishing surrounding area - including the castles and palaces built by 'mad' King Ludwig II in the 19th century in the midst of snow-capped alpine peaks, brooding forest lakes and colourful wildflower meadows. One of Britain's most insightful and entertaining cultural broadcasters, Andrew Graham-Dixon will join you during the tour, giving his insights into the artistic riches of Bavaria. 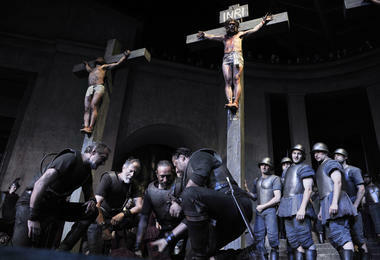 European travel experiences do not come much more memorable and iconic than the Oberammergau Passion Play. If you miss this trip, you will have to wait until 2030 for your next chance. "I'm really looking forward to this trip, especially the visit to Neuschwanstein - the world's most spectacular fairytale castle!" Andrew Graham-Dixon. 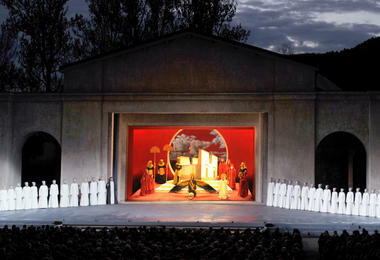 Involving half the town’s residents, world-famous Oberammergau tells the story of Christ, from his entry into Jerusalem to his resurrection. Stay in fine accommodation throughout the tour, including the Schlosshotel Linderhof near Linderhof Castle (pictured). 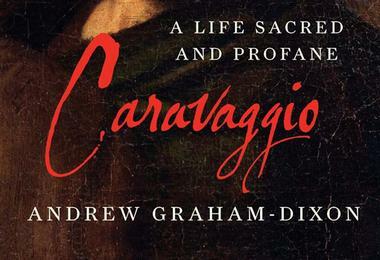 Readers who book before April 2019 will receive a signed copy of Andrew's gripping bestseller, Carvaggio: A Life Sacred and Profane. Discover the history of the spectacular monument, Neuschwanstein Castle, in a talk and Q&A with TV historian Andrew Graham-Dixon. Hear from a local history expert who will uncover details about the fascinating story behind the captivating passion play you will watch. See Herrenchiemsee Palace, where 35 seamstresses spent seven years sewing the cover for the royal bed alone, and the gilded Hall of Mirrors. 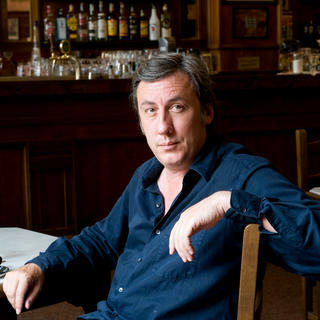 Author, presenter, lecturer, scholar and art critic; Andrew Graham-Dixon is renowned across many disciplines and is a trusted expert in the field of art history. Educated at Westminster School, Andrew won a scholarship to Christ Church, Oxford University, where he studied English Language and Literature. A renowned art critic, Andrew is one of Britain's leading cultural commentators and has presented numerous TV programmes including the BBC's Sicily Unpacked and The Art of Germany. He is also the author of books covering art history, including Renaissance, Michelangelo and the Sistine Chapel, and Caravaggio: A Life Sacred and Profane. A former judge of the Turner Prize, Andrew has also served on the Government Art Collection Committee and the Hayward Advisory Committee. 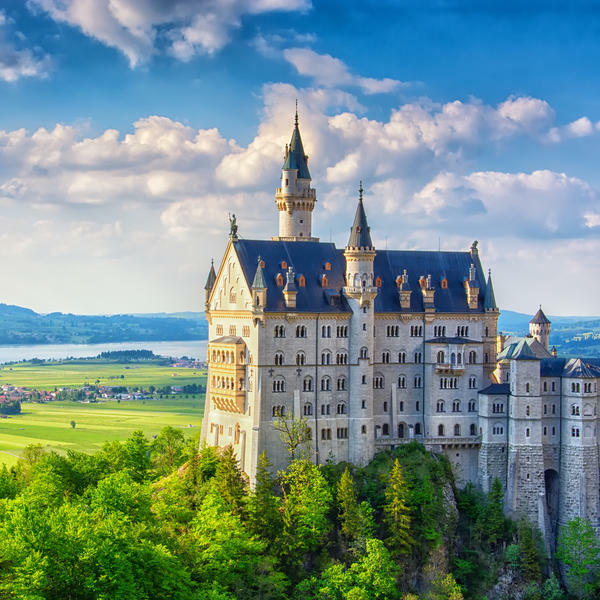 I’m really looking forward to this trip, especially the visit to Neuschwanstein – the world’s most spectacular fairytale castle! 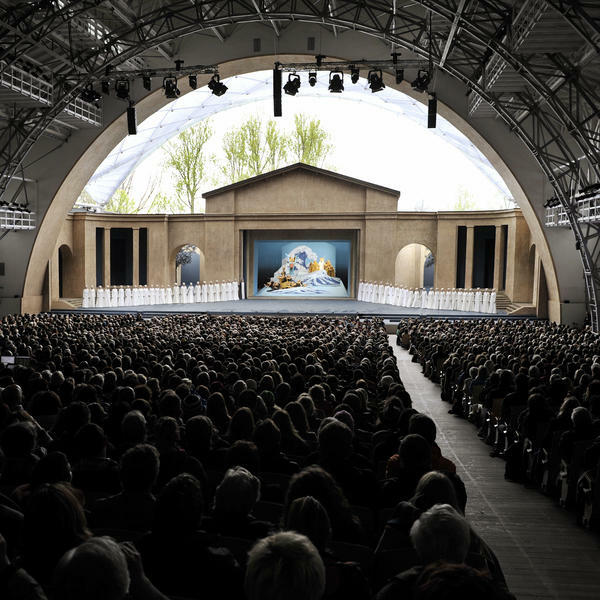 Tickets and quality accommodation in the Oberammergau area are strictly limited, and early bookings are strongly recommended. We depart in the morning from London on a direct flight to Munich. On arrival we head to our hotel, the AM Platzl Munich, stopping for lunch on the way. 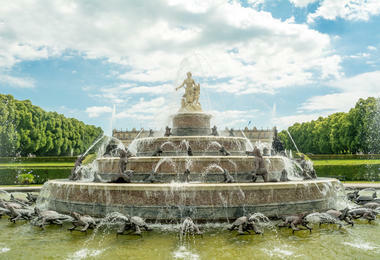 After check-in, join us on an optional walking tour of Munich or explore at your leisure. Dinner this evening is at the famous Hofbrauhaus. 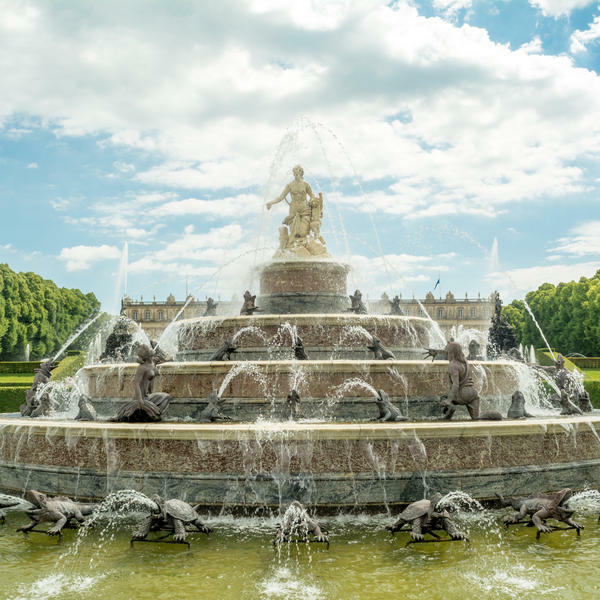 Today we drive to the Chiemsee, the largest lake in Bavaria, where Ludwig built his final dream castle Herrenchiemsee Palace on Herreninsel Island. Construction began in 1878, and the palace was inspired by Ludwig's visit to the Palace of Versailles. This is truly a monument to royal megalomania: 35 seamstresses spent seven years sewing the cover for the royal bed alone. Perhaps the most striking room here is the gilded Hall of Mirrors, best seen by candlelight, which is arguably even more dazzling than the original in Versailles. After lunch (not included) we wander the manicured palace grounds before making our return to Munich. Spend the evening at leisure. 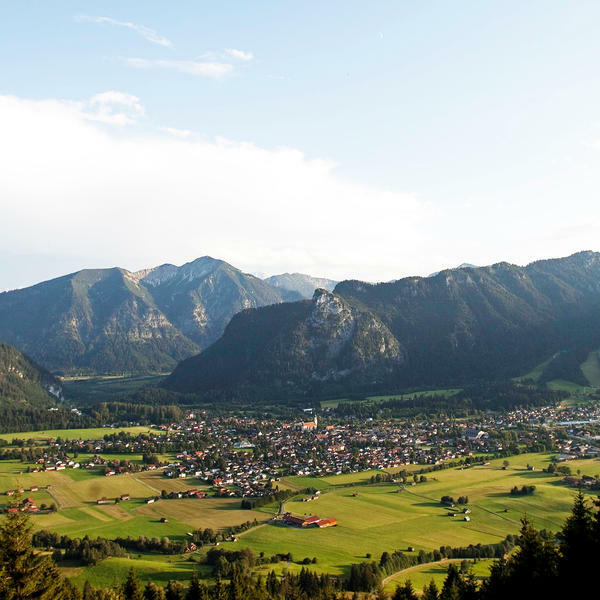 We drive south through the wonderful scenery of the Bavarian Alps, stopping for lunch on the way to Oberammergau. 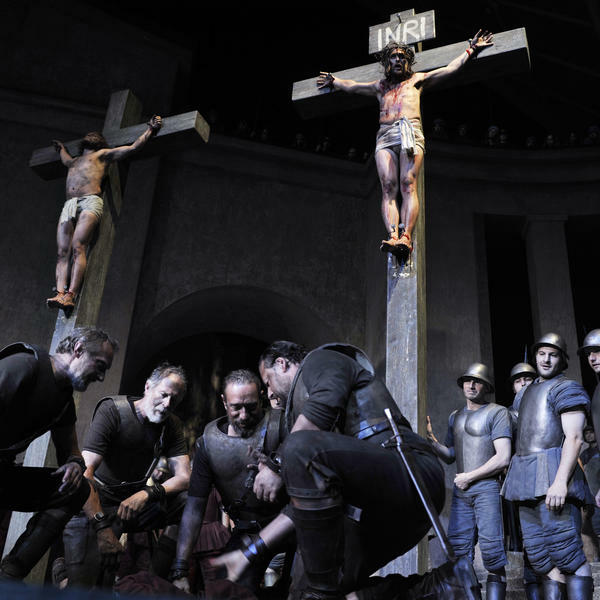 After checking into the Hotel Oberammergau, we will gather together in the afternoon to attend a performance of the Passion Play. Dinner is inlcuded in the intermission. We will have a leisurely morning after our late night at the play. We will then travel the short journey to Linderhof, our home for the next two nights. 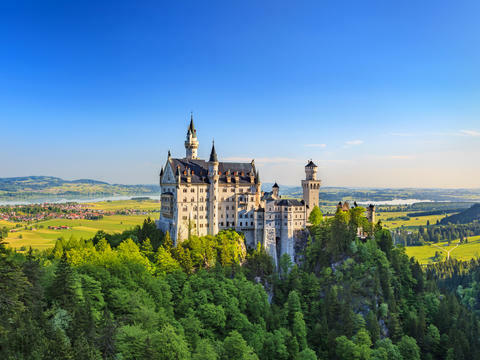 Located in the heart of the Bavarian countryside and full of Ludwig-era history, this is the perfect place to embark on our exploration of the fairytale castles. En route we will stop at Hohenscwangen, Ludwig's childhood home, for a guided tour of the fortress and grounds with their alpine plants and flowers. 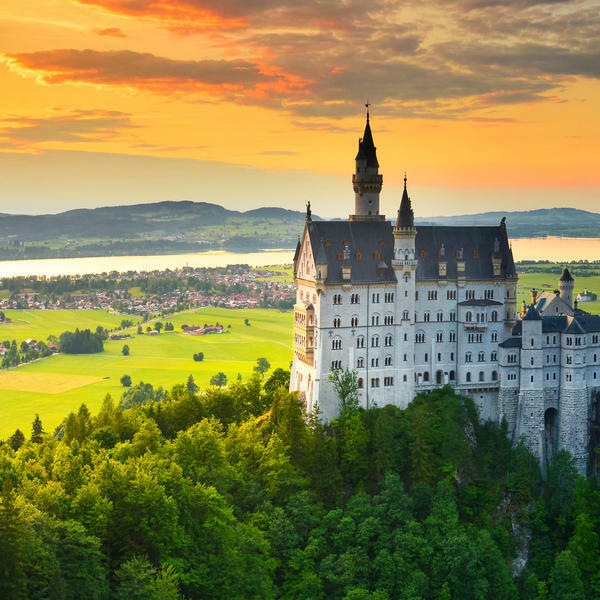 Today is dedicated to Ludwig's crowning glory and the embodiment of his wildest Romantic fantasies - the stunning castle of Neuschwanstein. 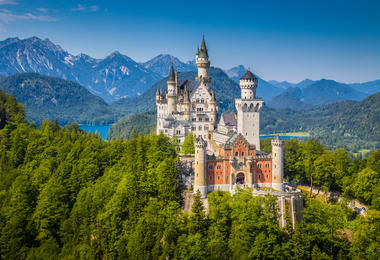 Featuring in numerous films, its soaring turrets and wedding-cake walls draw an amazing 1.3 million visitors per year. Built in the Romanesque Revival style, the castle was the scene of Ludwig's arrest in 1886 by his courtiers, exasperated by his eccentricities and profilgacy. We will spend most of the day here before returning in the afternoon to our hotel. Dinner is included tonight at the wonderful Schlosshotel. After breakfast on our final day, we return to Munich via Castle Berg on the Starnbergersee. This country manor house - which is humble by Ludwig's standards - was where the King was confined after his deposition and declared insane. A few days later, he and his physician were found drowned in the lake. The mysterious double death has never been explained. We visit his tomb in Munich's St Michael's Church, before heading to the airport for our lunchtime flight home. 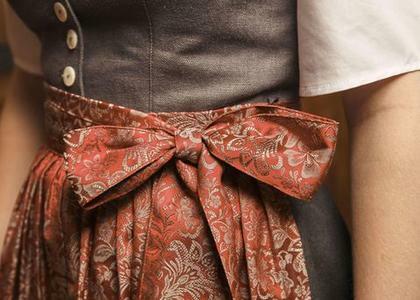 With an original Bavarian character, the Platzl represents the capital of the region through its design, decor and dress. Despite refurbishments and modernisations, the original Platzl character is retained in the hotel's furnishings - starting with the loden and felt materials in the entrance hall and ending with the carpets and beer cosmetics in the rooms; it is in the warm greetings of staff dressed traditionally in costumes designed by Ludwig Beck; it is in the history of the hotel and its location in Munich's historic Old Town district; it is in the authentic Bavarian food served at breakfast, lunch and dinner. 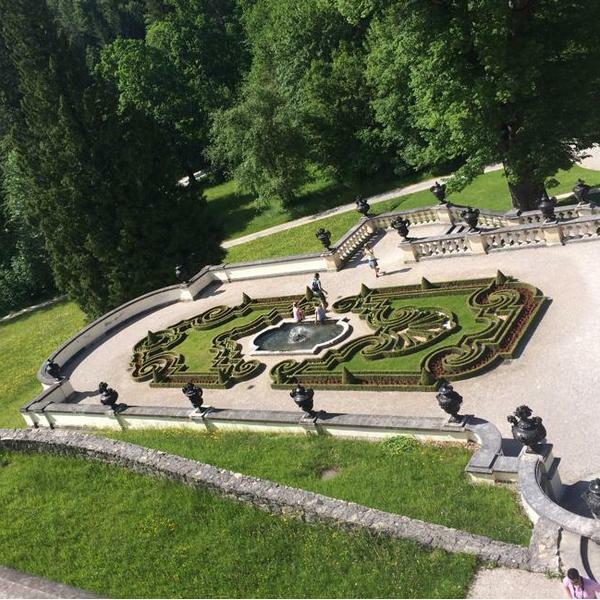 Encounter the magic of the mountainous countryside surrounding Linderhof Castle just as King Ludwig II did himself. The castle is a just a five-minute walk from the hotel, which sits at 3,216 feet above sea level. A breakfast buffet is provided each morning, and the restaurant serves regional cuisine as well as international favourites. Founded and run by historians, Historical Trips doesn't let a love of the past stop them from knowing how to have a good time in the present. History is at the heart of everything Historical Trips do, as they put their passion for the past into exploring over nine centuries' worth of world-changing events. 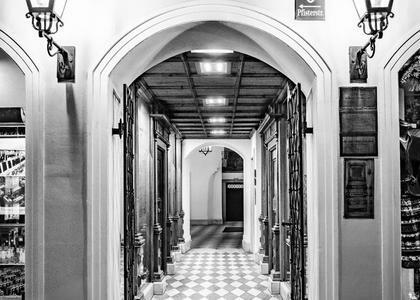 Many of their tours present the opportunity for exclusive access or added extras at a range of sites, allowing you to go even further into the history of people and places. Histoical Tours' trips are expert-led, convivial, all-inclusive, welcoming, and fun. To view Historical Trips’ supplier’s terms and conditions click here.